Most common problem caused to the laptops is the damage of DC power jacks. 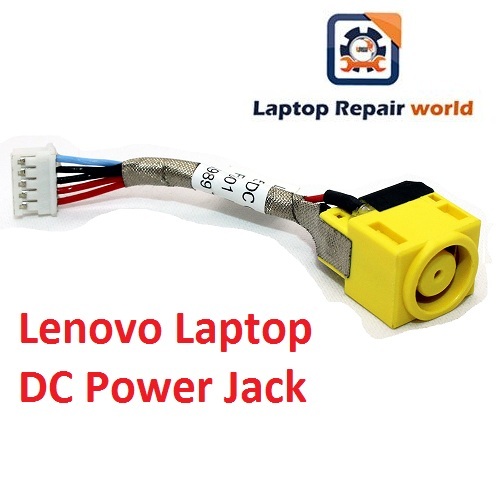 If you are a Lenovo laptop user and the damaged DC power jack is bothering you? Then maybe you haven’t heard of our store, Laptop Repair World where we perform every type of repairs and replacements to the damaged laptops. DC Jack Converters are available for all Lenovo Models including Flex, Yoad, IdeaPad, ThinkPad, And Chromebook. Coming to the DC power jacks, they are sensitive and any type of improper handling of the laptop will trouble the power jacks first. They are attached to the motherboard and the disturbance to the power jacks hinders the laptop as a whole. Also, there are chances you may not identify the damage happened to your DC power jacks. The common consequences are flickering screens, incomplete charge of laptops and sometimes burnt smells or sounds may be seen or heard. When you come across these problems don’t panic, but understand that your DC power jack is damaged and instead of rushing into making self-decisions bring your laptops to our Laptop service center. Often a replacement is recommended, when any kind of repair cannot undo the damage properly. So you will be instructed to replace in order to avoid troubles in near future.We replace with another power jack of same brand which doesn’t hinder the quality levels of your device. Fortunately, the cost to repair or replace a power jack is very minimal and it is often done under Rs.500. If the repair is very slight and if our workers decide that replacement isn’t necessary, they just repair it under very negligible cost. Also we take care that we charge you less than the market price of the DC power jack. We at our store will perform a scrutiny of the entire laptop, track the problem and discuss the solutions to undo the damage and continue further only if you are satisfied with the services we are going to provide. If there is a problem in bringing your whole laptop and if you are sure that it is your power jack is the one that is damaged, then you can simply bring the power jack to us. This is how we try to simplify your problems in shortest time possible without any greater efforts. For any queries you can contact us both online and offline before reaching our store.